First published in 1978 as a hardback, The Revelation of Ramala is now reprinted as a paperback book of 280 pages and contains forty two teachings on a wide range of subjects which were all received between 1970 and 1977. 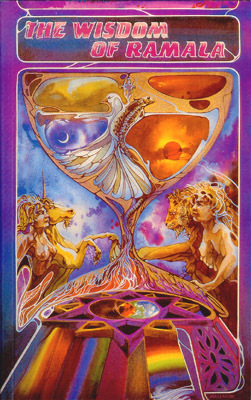 The titles of the chapters are: The Cycle of Life - Death, The Cycle of Life - Birth, The Cycle of Life - Life, Universal Man, The Position and Purpose of the Earth in Our Solar Body, Astrology, Love, A Day in Your Life, The True Meaning and Significance of Christmas, Money and Possessions, Free Choice or Free Will?, The True Meaning and Significance of Easter, Community Living, The Importance of Correct Eating, Marriage, Reincarnation, How to be a Teacher and an Example of Infinite Wisdom on Earth Today, Humanity’s Relationship with the Animal Kingdom, Law, Religion, The Ten Commandments, The Spirituality of Humanity’s Physical Body, The Moon, The Point of Consciousness of The World Today, The Psychic Law, The Parable of The Christmas Story, Prophecy, The Symbology of The Easter Story, Womanhood, Humanity’s Physical and Spiritual Guardianship, Birthdays, Humanity’s Brothers and Sisters in Outer Space, The True Nature of Healing, The Reappearance of Atlantis, The Cosmic Meaning of the Cross, The True Meaning and Significance of Cataclysms, Health and Harmony, Guidance for a Young Person, Meditation, The Destiny of Britain and The Aquarian Christ. First published in 1986 The Wisdom of Ramala is a paperback book of 330 pages and contains thirty three teachings on a wide range of subjects which were all received between 1977 and 1985. The primary difference between this book and The Revelation of Ramala is that it contains a selection of the question and answers that took place with David’s doorkeeper after the main teachings had been received. This interchange reveals that there is an open-mindedness and a willingness on the part of the Ramala Teachers to explain and to discuss the spiritual topics involved. The titles of the chapters are: The New Age, The Nature of Suffering, The Energy of Creation, Awareness or Experience, Guidance, An Easter Message - Death, An Easter Message - Resurrection, Woman - The Feminine Energy of Creation, Choosing One’s Marriage Partner, Divorce, Problems and Tests, Education for The New Age, The End of the World?, The True Nature of The Animal Kingdom, Holding the Light, The True Nature of The Mineral Kingdom, The Test of Money, Children: The Seeds of Creation, The Significance of Human Consciousness, The True Nature of Illness, The Nature of Group Energy, Reconciliation, A Perspective of Our World Today, The Essential Question, People, ‘Do Unto Others’, To be a Pilgrim, Tragedy, The Virgin Principle, The Healing Touch, Peace, The Creative Marriage and The Winter Solstice. 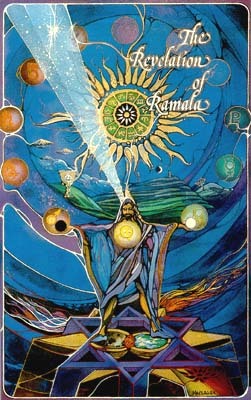 First published in 1991 The Vision of Ramala is a paperback book of 336 pages and contains twenty five teachings on a wide range of subjects which were all received between 1985 and 1989. As with The Wisdom of Ramala a selection of questions and answers is to be found after most of the teachings. 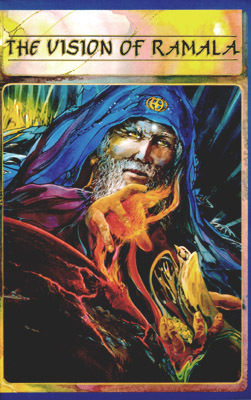 This book completes the Ramala Trilogy because the final chapter of the book contains the last teaching from the Ramala source, which was received on June 11th 1989, and so marks the end of a process which went on for almost twenty years. The titles of the chapters are: The Nature of Human Relationships, An Easter Message, The Gift of Darkness, The Spiritual Reality of Work, The Test of Attachment, Earth Changes, Look to This Day, The Natural Order, The Illusion of Separation, The Drama of Life, The Ultimate Sacrifice, The Pursuit of Happiness, The Act of Worship, The Cycle of Life and Death, The Purpose of Pilgrimage Today, The Choice of Mortality and Immortality, Understanding Fear, The Quest For Consciousness, The One and Only Guidance, The Importance of Choosing Your Lifestyle, A Christ-Mass Message, The Reality of Love, The Need for Wholeness, The Law of Karma and The Last Channelling. All of the Ramala books were published in the United Kingdom by The C.W.Daniel Company Limited. The books published in the English language can be obtained from The Ramala Centre in Canada. Unfortunately most of the books published in other languages are now out of print and are unobtainable. Please write, or phone, in the first instance to the address below where all orders will be processed. Payment can be made in UK Pounds, US or Canadian Dollars. Please allow 1 to 2 weeks for delivery by airmail and 2 to 3 weeks for delivery by surface mail. Readers outside North America, when ordering, please state clearly whether or not you want the books to be sent to you by Air Mail or by Surface Mail. For orders of more than one book, please multiply the above rates by the number of books ordered. We can accept UK, US $ or Canadian $ bank cheques provided the cheques are made payable to ‘D.D.Jevons’. Thank you for your assistance in this matter. For a small order, should you wish to pay with foreign currency notes, this is quite acceptable to us, provided the notes are of a ‘hard’ currency that can be exchanged in Canada. Unfortunately we no longer have in stock the foreign editions of the Ramala books and none of them are currently in print. However copies of the books in the Dutch, German, French, Spanish, Danish and Portuguese languages may be available from second hand bookshops.